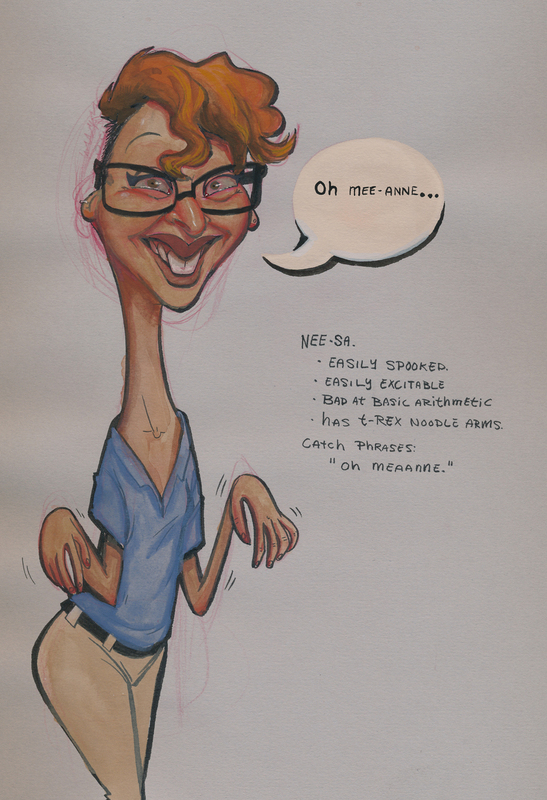 Over the summer I had a little bit of an opportunity to do a couple drawings or paintings of friends and coworkers. Gaurav- Great guy. 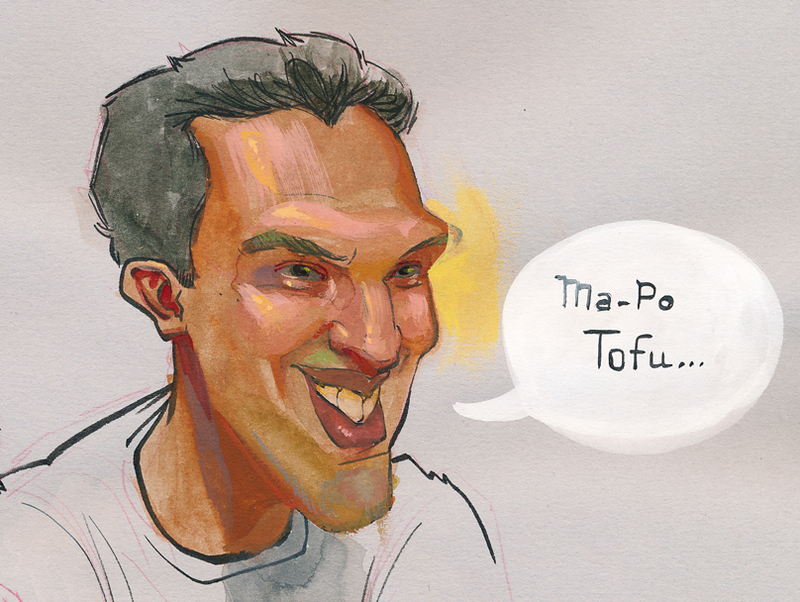 He loves Ma-Po Tofu. We’d get food late at night and I drew this while we were at a Korean restaurant and painted it from memory. Nyssa – Great artist. Always ready for a laugh. The best moment was when I showed the painting to her in person, she laughed and then said “Oh mee-anne…” Which was absolutely perfect. 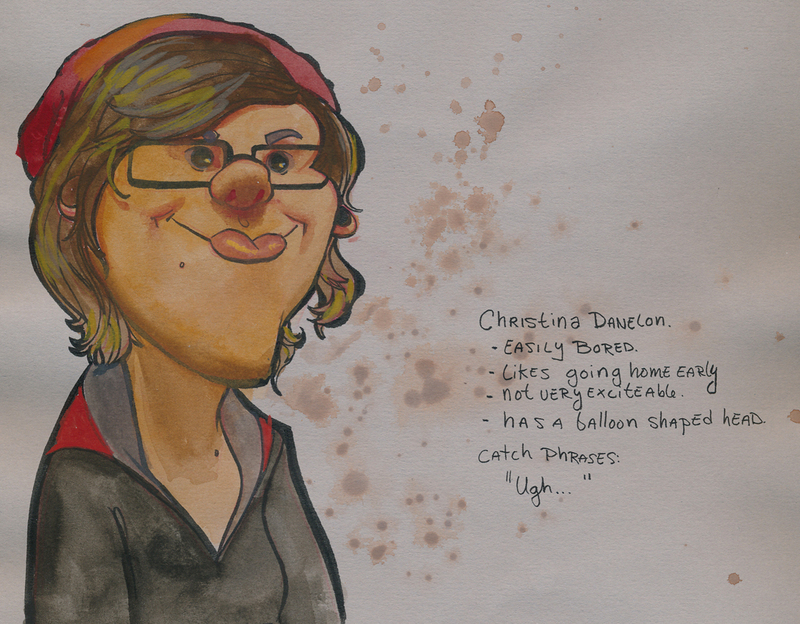 Christina – Another great artist. Pretty fun to hang out with. We found a leopard slug while we were geocaching with a bunch of work friends on an island. She said it was cute. These were all done in a grey paper sketchbook with my typical watercolor set-up, or my gouache set-up. I’ll have a few more posts spread out over the next week.